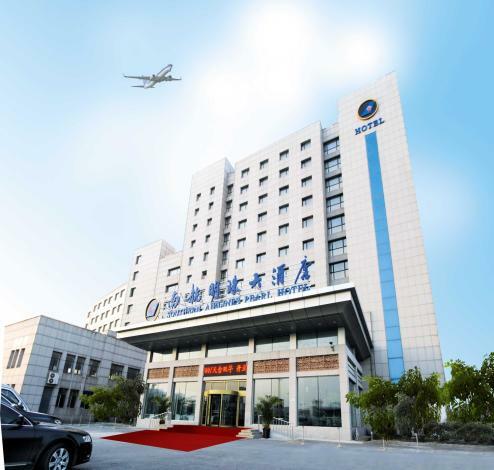 Aviation Hotel is located facing Dalian Zhoushuizi International Airport, 2 minutes walking distance from passenger terminal and 15 minutes drive distance from downtown. The hotel offers private rooms in different styles, which are equipped with professional stereo system and liquid crystal TV. The deluxe rooms are fully furnished, with the capacity of 30 people. There are 200 seats in the multifunctional dinning hall, which is suitable for banquet, birthday party, or marriage celebration. The guestrooms are equipped with central air conditioner, cable TV, IDD, DDD, and broadband Internet access. The conference center is full of advanced facilities, which is fit for all kinds business meeting or display conference. - 18 km to Dalian North Railway Station.